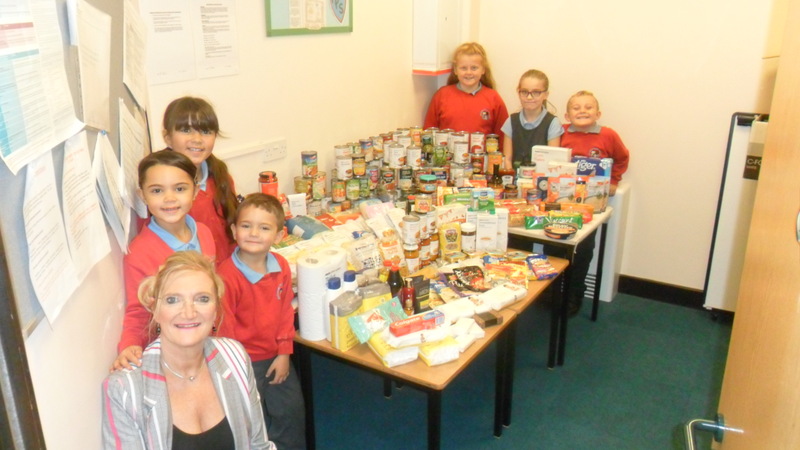 Children and parents of Firthmoor Primary school have been very kindly donating food over the Harvest period, which will be donated to the Food Bank at Firthmoor Community Centre. Mrs Harrison from the Community Centre came into school to accept the donations. Many thanks to all who donated so generously. As you will see from the pictures below, the response was overwhelming. Year 5 children were invited to St Aidan’s to give them a taste of some of the exciting learning opportunities which are ahead of them at secondary school. Children participated in a food technology session where they carefully followed instructions to bake their own shortbread. There were certainly many beaming smiles at the delicious smell which filled the room! 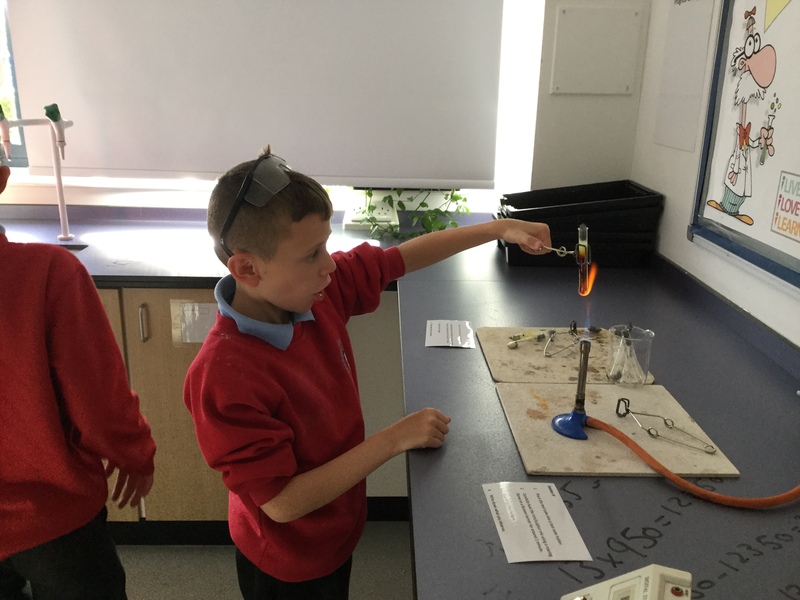 There was also the opportunity to conduct a series of mini science experiments linked to chemical reactions and it was a real thrill for the Year 5’s to use equipment such as Bunsen burners and test tubes for the very first time. All in all, it was a super afternoon which has hopefully fired our Year 5’s enthusiasm for new curriculum areas in the future. Year 5 and 6 children enjoyed a fantastic day at Whitby as part of the whole-school topic on Coasts. 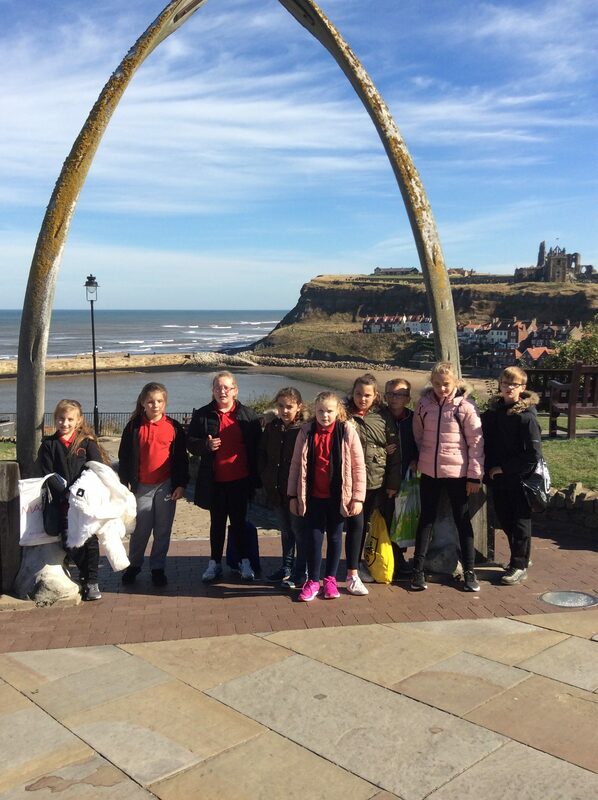 Whilst there, they visited famous landmarks such as Whitby Abbey, the 199 steps and the Whalebone Arch as featured in the focused literacy texts – Dracula by Bram Stoker and Room 13 by Robert Swindells. Visiting these iconic places has enabled them to produce detailed, descriptive writing which draws upon their first-hand experiences. In addition to this, their geography skills were tested with the opportunity to conduct surveys into building use on two of the main streets. The children analysed their findings, which they have since presented in graph form. Finally, the children became artists as they were given an opportunity to study the shapes, structures and different perspectives of the famous Whitby landscapes. A thoroughly enjoyable day was had by all and is continuing to fire their imagination and develop skills across the curriculum. Today some of our children were presented with a cheque for £250, which was the prize they won for their outstanding efforts on ‘Doodle Day’. We had a car, a Toyota Aygo, delivered onto our school playground by RMB Toyota Darlington and the aim was for the children to ‘doodle’ their designs onto the car with washable marker. 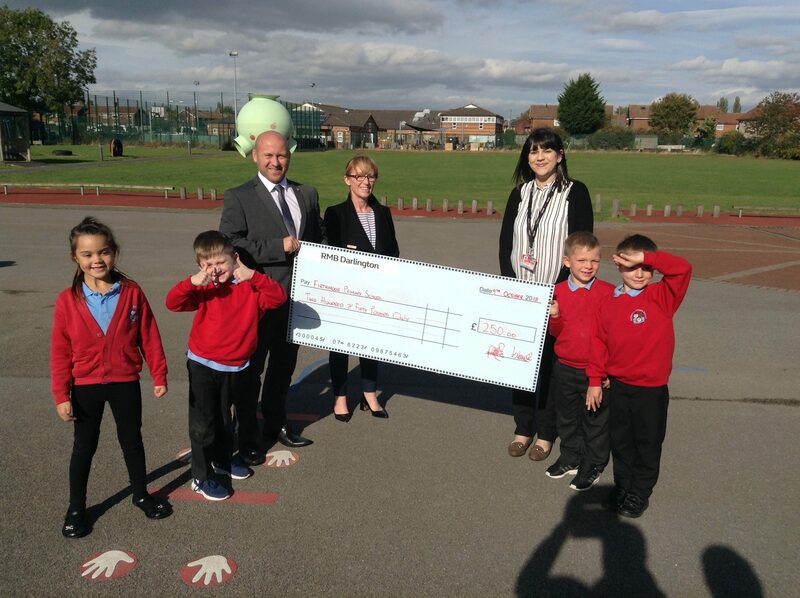 Kevin from Toyota was so impressed with the children’s designs, which were all Darlington inspired, that he decided they deserved to win the cash prize. The intention is to purchase some art resources with the money, which will not only be used in classrooms, but also outdoors at break and lunchtime. Remember to visit RMB Toyota Darlington’s Facebook page to like and share the pictures taken by Kevin today at the cheque presentation. Many thanks to RMB Toyota Darlington – we look forward to being involved in future initiatives and projects.